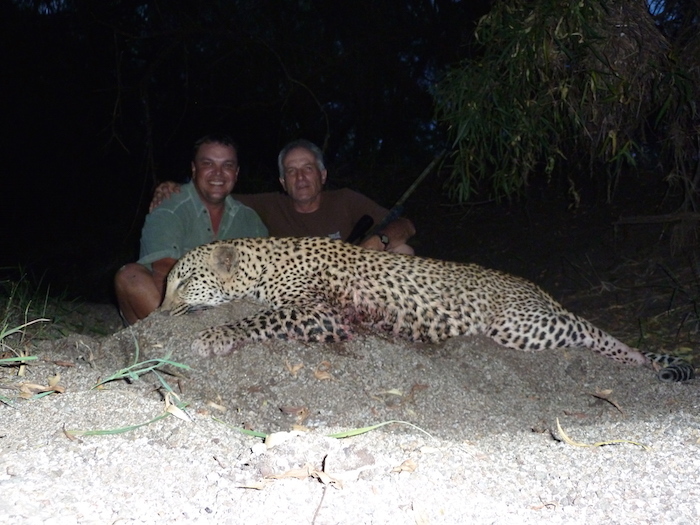 Rifle Hunting in Zimbabwe is a challenging and rewarding experience, and we offer a premium environment for free-range leopard and plains game hunting. If you like walking out in the bush, you’ll love the wide variety of habitats and terrain. 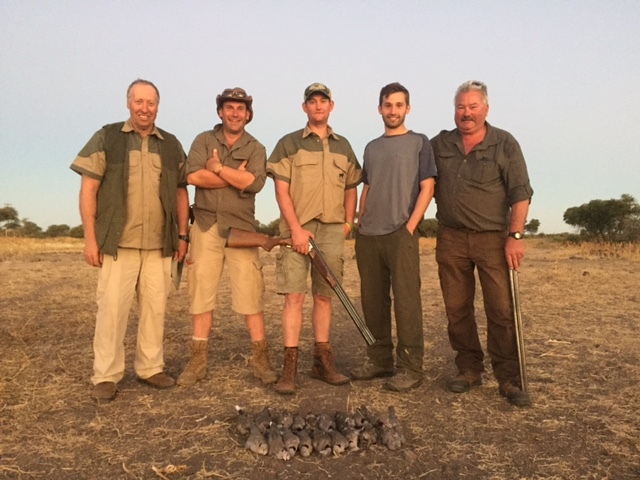 Regardless of your level of experience, during your hunt you’re accompanied by a fully licensed Zimbabwean Professional Hunter (PH) to help with Trophy judgment and shot opportunity. Our PH’s also know the best areas to go for the species you are looking for, meaning you’ll go home with the results you wanted and plenty of good memories. Your day will kick off with an early start. Our winter runs June through to August and during this period it’s likely you’ll start hunting by 6:30am. However, outside of these months as the temperatures increase, starting earlier (around 5am) is preferred. 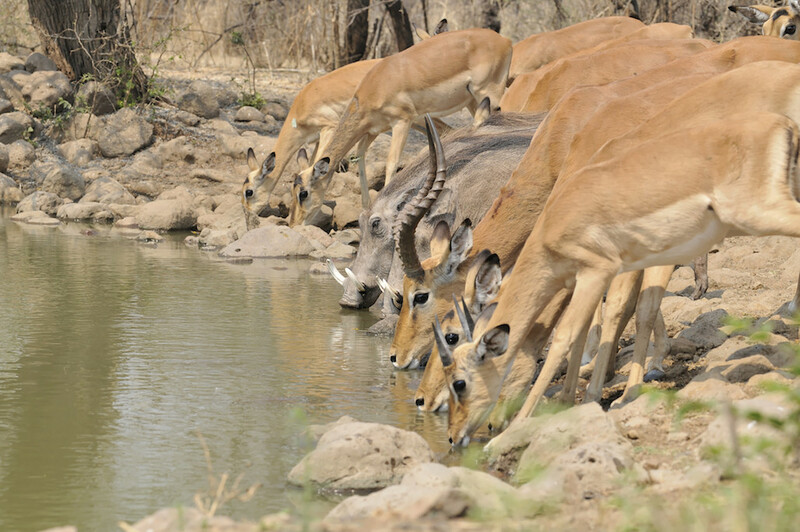 In the heat of the day the animals often rest up under trees or go for water and it’s a good idea to do the same! You’ll either have your lunch in the bush or, if you prefer, you can come back into camp and have a siesta in the comfort of your own room. If you’re going on a non-hunting holiday before or after your hunt, lugging rifles around with you can be a chore. We also have rifles for hire; just ask us about them when booking. 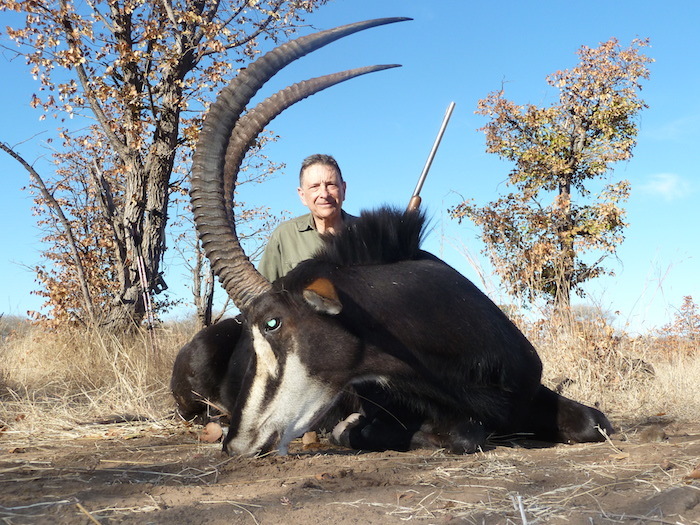 For rifle hunting plains game in Zimbabwe a .300+ (e.g. 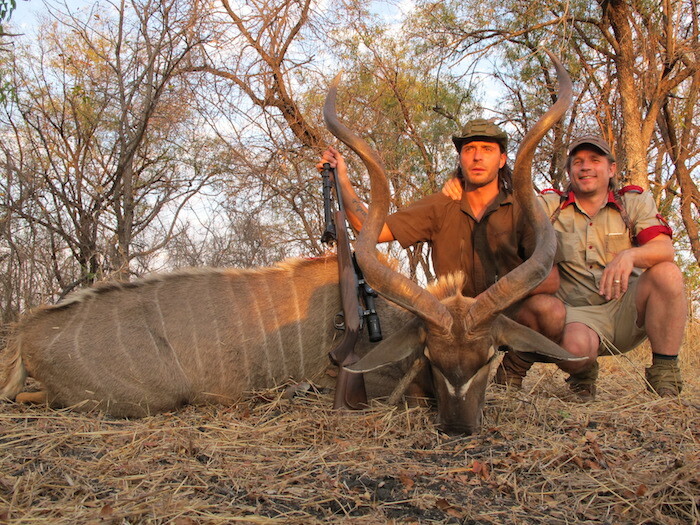 .30-06, .308, 7×57) caliber rifle is recommended for most species. Peter hunted for most of his life with a Springfield .30-06 and he shot everything including a moose and a grizzly bear with it! A .375 is the legal minimum for a buffalo or an elephant, if you can handle a bigger caliber, bring that. 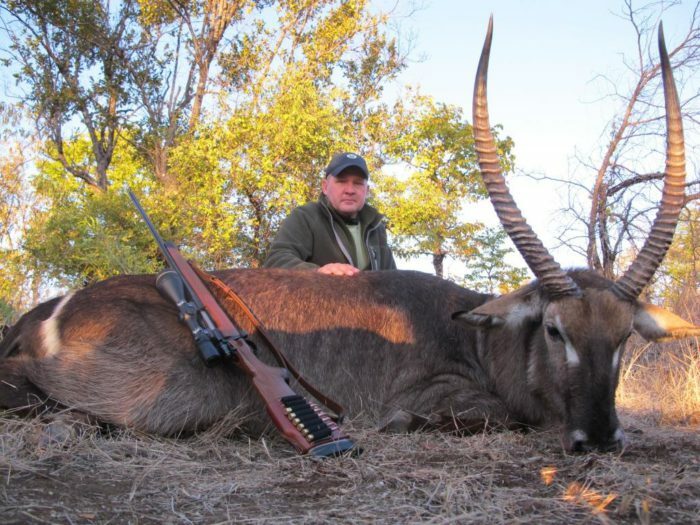 A smaller caliber rifle such as a .223, is sufficient for bushbuck, impala and warthog (smaller calibers mean less damage to the skin as well). High velocity rifles are, we feel, from years of experience, unsuitable for our bush. Make sure you’re familiar and proficient with the rifle you plan to use and can shoot without flinching. We have a wide range of rifles that you may use if something happens to your rifle in transit. It is strongly advisable to buy an African animal shot placement book (safaripress.com) and study the diagrams, as many African animals have different shot placement requirements to northern hemisphere animals.